OTVG is back reviewing the excellent early November shows for Dragon Gate! 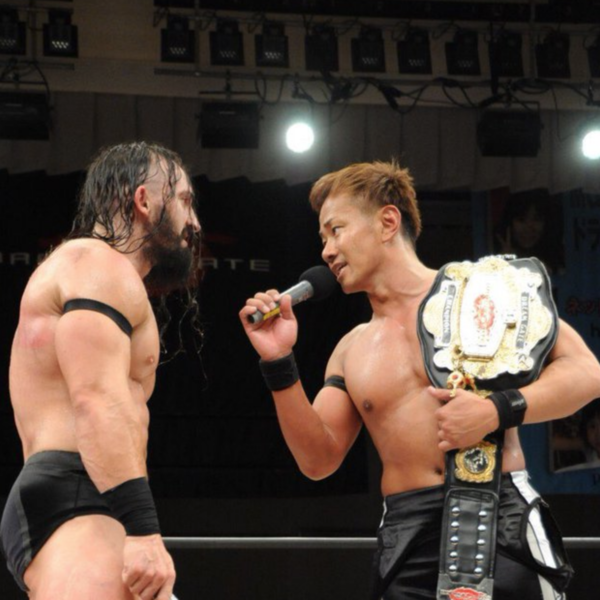 Mike takes a look at one of the strongest big shows of the year, Gate of Destiny, and then reviews the Korakuen Hall show from a few days later. Finishing up a shorter episode, he takes some questions about the Dragon Gate Network, like is it worth it for newcomer fans? What's all on it? And then he finishes up the show talking about major touchstone moments in Dragon Gate, along with unit histories and Kota Ibushi's short stay in the Dragon System! Thanks for listening and please subscribe and follow us on the podcatching platform of your choice! Follow us on twitter at https://twitter.com/openvoicegate.